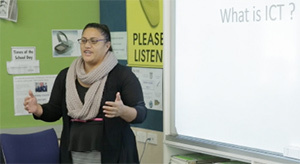 TechHub (formerly ICT-Connect) is ITP's in-school tech career evangelist programme, providing hundreds of presentations in schools across NZ every year, as well as the CREST Challenge, Careers expos, and advice for those looking at a career in IT. TechHub is run by ITP in partnership with various tech associations, and supported by industry. 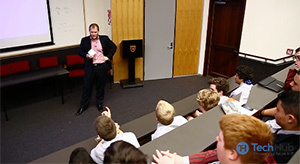 The TechHub in-school presentations are the core component of the TechHub Programme. Often reaching over 50,000 students across New Zealand each year, TechHub is making a huge difference to the next generation. 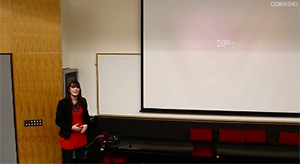 TechHub presentations inspire kids by introducing them to the depth of tech roles in New Zealand and the opportunities the sector presents, seen through the eyes of the more than 100 IT and software professionals who give up their time to give presentations across New Zealand. 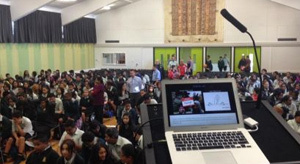 Through TechHub, ITP facilitates hundreds of school visits and presentations each year. In 2016 the TechHub CREST Challenge expanded to Auckland, Wellington and Christchurch, following on from the Pilot in Wellington in 2015. 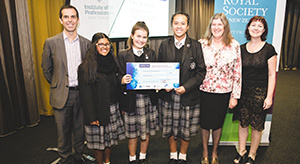 The Challenge is a collaboration run by ITP's TechHub programme, in partnership with CREST run by the Royal Society of New Zealand. 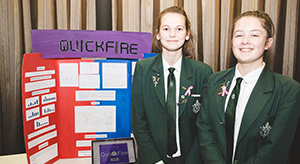 CREST stands for CREativity in Science and Technology, and in the Challenge Y9/10 students develop a mobile app from initial concept and design to development. 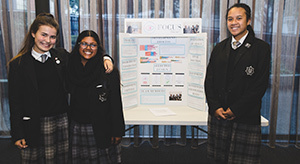 By the end of the Challenge, students will have developed a new program/application to a beta testing stage, written it up for presentation, and given a Dragon's Den type presentation to a panel of judges, with a strong focus on teamwork. 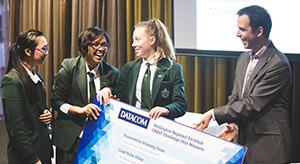 In 2016 over 500 school students took part in the TechHub CREST Challenge from Auckland, Wellington and Christchurch with some schools including it in their curriculum. 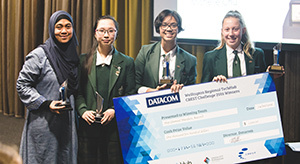 The winning teams were awarded cash prizes ($1500, $500 and 2x $250), sponsored by one of TechHub's Premium Partners Datacom. We're always on the lookout for team mentors, so get in touch if you're interested. 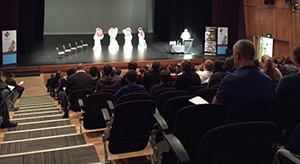 ITP runs the annual TechHub Careers Expo in Christchurch, with over 600 students and their parents attending each year. 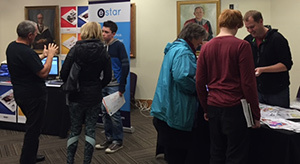 As well as 15-20 local industry and educational exhibitors, the Expo features presentations from several young IT professionals, including a keynote presentation (in 2016 this was Adrian Clark from HITLab who captivated the crowd with the work they're doing in Robotics and Virtual Reality (VR)). 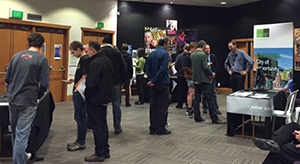 The TechHub team also participates in several other career-oriented events across NZ each year. Anecdotally, teachers tell us that far more students are going on to study in IT-related fields from schools participating in TechHub than those that aren't, with the greatest increase in academically "smart" kids who would otherwise go on to study law, accounting or engineering. It gets even more interesting when looking at the hard data. 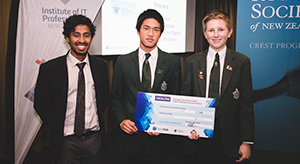 IT-related tertiary enrolments have continued to climb since TechHub (then ICT-Connect) kicked off. In 2016 there were 39,535 tertiary students studying IT-related fields, with the bulk of those (34,185) studying at NZQA Level 5 or above (leading onto the industry) and around 73% of these being domestic students. That's an extra 3000 students studying IT than in 2012. With a strong TechHub focus on girls' schools, it's great to see far more diversification in tertiary enrolments since TechHub kicked off, with far more young women studying IT than ever before. While still not where we want it, we're now seeing 35.4% of IT students being women - far better than what we were seeing just a few years ago. 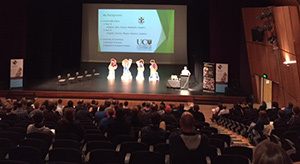 We're also seeing good improvements in Maori and Pacifica enrolments. Obviously TechHub can't claim all the credit for these changes, however it's a large piece of the jigsaw that's seeing a big change in the numbers and types of people choosing to study towards a career in IT. If your company wants to be part of a programme with proven results making a real difference, drop us a note and we'll get in touch. Check out the TechHub website for more information.